Moire O’Sullivan is at the top of her game when she realises she is expecting. 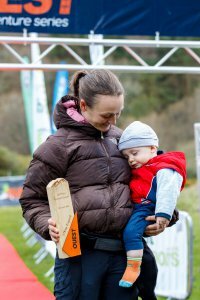 Bump, Bike and Baby is a hilarious account of her journey through pregnancy and as a new mother, all the while training for the Irish National Adventure Racing Series title. A couple of weeks ago a package landed on my desk. I opened it up to find a book entitled Bump, Bike and Baby. As somebody who is neither a mother nor an expectant mother, it isn’t the type of book I would have selected myself in Easons. However, my attention was drawn to its author. 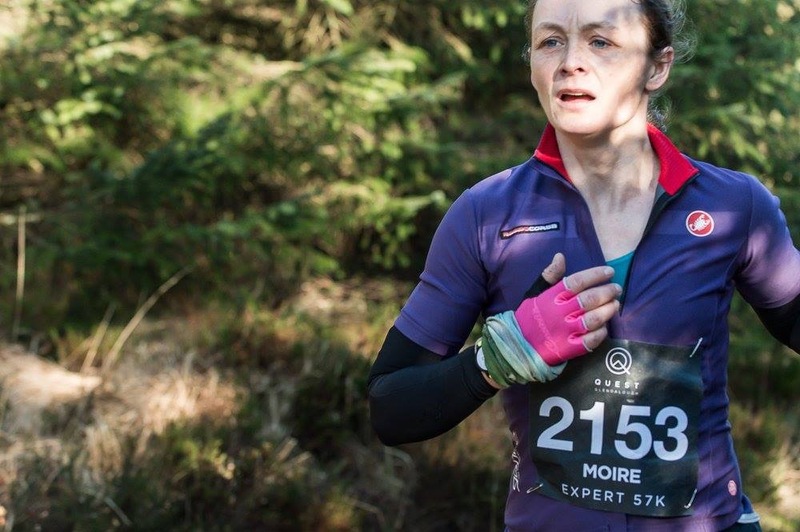 Moire O’Sullivan is somebody who need little introduction to the running and adventure racing communities of Ireland. She was the first person to complete the Wicklow Round in under 24 hours. She has also raced on some of Ireland’s top adventure racing teams and won Ireland’s National Adventure Racing Series in 2014, 2016 and 2017. In short, she is a machine. And as if all of that’s not enough, she has managed to have two children in the middle of it all. Moire’s account of pregnancy and the early days of motherhood in her book are refreshingly honest. She admits that prior to getting pregnant she had zero interest in children. But she had promised her husband that she would reproduce. And fittingly, it was bang smack in the middle of a 24-hour adventure race that she realised she was expecting. Horrified by the thought, Moire went about gathering information about training while pregnant. To her delight, she learned that she could actually come back from pregnancy stronger and fitter than ever. Apparently, the pressure of the baby on your lungs and other internal organs has similar effects as blood doping. With her road bike in tow, Moire set her sights on winning the National Adventure Racing Series the year after she had her first child. Not an easy feat. But it turns out Moire really is a force to be reckoned with. And nothing will stop her from achieving her goals. Bump, Bike and Baby is a great read for anyone who is slightly terrified by the thought of having children. Moire’s light-hearted and relaxed approach to motherhood makes it seem a lot less daunting. And her ability to train right up to her due date will dispel any rumours that your life as an athlete must come to an end the minute you pee on that stick. Bump, Bike and Baby is available for purchase on Amazon.